Conrad Pope is one of the unsung heroes of Hollywood's musical output, unsung because so many of his film credits are as "orchestrator". Film composers generally work under enormous time pressures, often being asked to write an hour's worth of music in 5 or 6 weeks. That's equivalent in duration to a symphony, a task that took many classical composers several months or even years to write! In order to speed the process most film composers are assisted by one or more orchestrators whose job it is to take the composer's music in a basic format, and expand this into full orchestral form in order to provide a conductor's score and parts for all the players of the orchestra. Since 1990 Conrad Pope has been one of Hollywood's best known orchestrators, working for composers such as John Williams, Alan Silvestri, Hans Zimmer, Danny Elfman and James Newton Howard. In one of film music's strange quirks, Conrad Pope has worked directly on more Harry Potter Films that John Williams himself! Amid all the orchestration work, Pope has a number of composer credits, and his film scores are achieving increasing praise and recognition. As would be expected, many of these scores are orchestral in nature but Pope has also demonstrated a willingness to experiment and a knack for convincingly integrating disparate elements into a score. One example illustrating this is "Pavilion of Women", based on the novel by Pearl S. Buck, which is a tangled romantic drama set in China during events leading up to WWII in the Far East. Pope successfully integrates Chinese classical music with more traditional film scoring, and the resulting score received several critical commendations. In total contrast the video release "Neowolf" aka "The Band from Hell" is dominated by heavy metal. 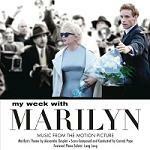 Eclipsing these in terms of publicity and box-office was the recent "My Week with Marilyn". 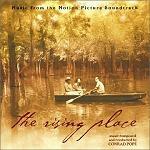 The soundtrack as a whole has several songs including Michelle Williams singing as Marilyn, a main theme by Alexandre Desplat and Lang Lang on the piano, but Pope's score is an engaging and sensitive one. 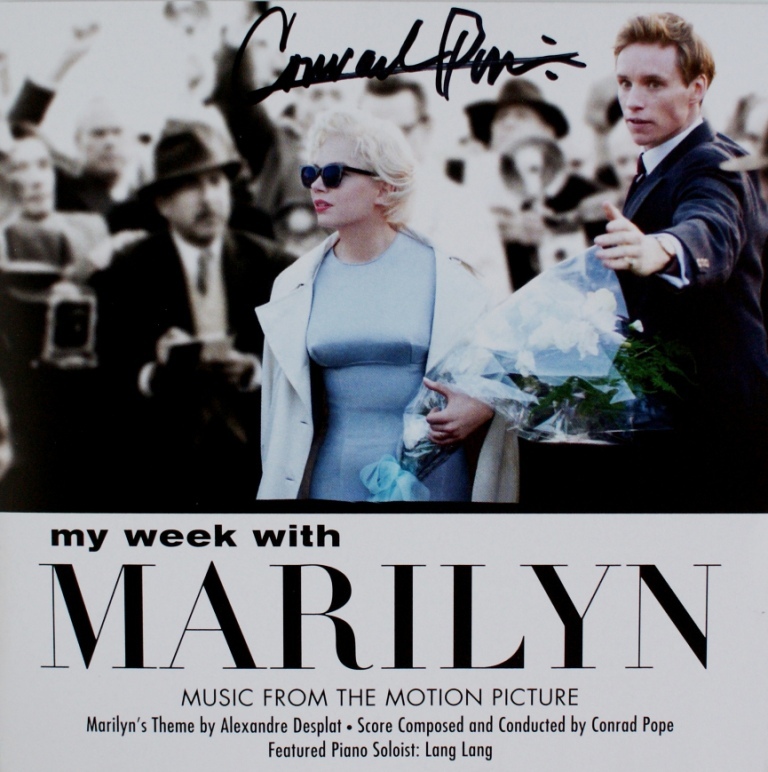 Here is Conrad Pope talking about his score for My Week with Marilyn, and here is a more in-depth interview with Pope spread over 3 parts: Part 1, Part 2 and Part 3. Pope has also composed several concert pieces, and arranged musical tributes to John Williams and Ennio Morricone for the Academy Awards Ceremony. 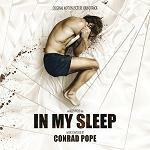 The composer's official web-site is at www.ConradPopeMusic.com. Please note that we have omitted Pope's credits as orchestrator or conductor from the list below since they are almost too numerous to mention, but they include virtually all of John Williams' scores since 1990 include Star Wars I, II and III, all of the Harry Potter films scored by John Williams and by Alexandre Desplat, the last 2 Hobbit films by Howard Shore, many other Desplat scores, and many scores for other composers. Here are some CD covers signed by Conrad Pope. Our thanks to Petr Kocanda for permission to use his collection of autographed CDs. Click any thumbnail below to see the image full size in a separate window.